Picturesque scenery, sheer, flowing dresses and some of our fave celebs? It’s the FW 2018 Rodarte Portrait Series: Woman that Inspire Us, of course. Creative geniuses Kate and Laura Mulleavy (the designer babes behind Rodarte) transport us to an ethereal wonderland of sorts in this highly decadent series starring Rowan Blanchard, Ava Phillippe and Chloe x Halle Bailey. These starlets bring us dreamy vibes in texturized floral frocks and over-the-top corsages. Don't mind us, we'll just be over here drooling over these looks all season! Spring dance inspo, anyone? Scroll through for some of our fave looks from the series. Tell us your fave look from the collection in the comments below! Actress Kirsten Dunst masterfully throws us Sherlock Holmes vibes in this trench coat. The oversized bowtie adds an extra, playful flair. Ava Phillippe's too-cool-to-care attitude and Valentine-esque dress brings us all the 10 Things I Hate About You vibes. 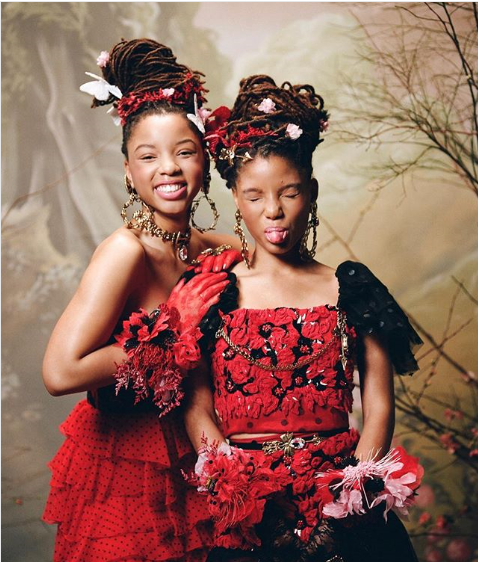 Singers and Grown-ish actresses Chloe x Halle are fierce and playful in firey red. 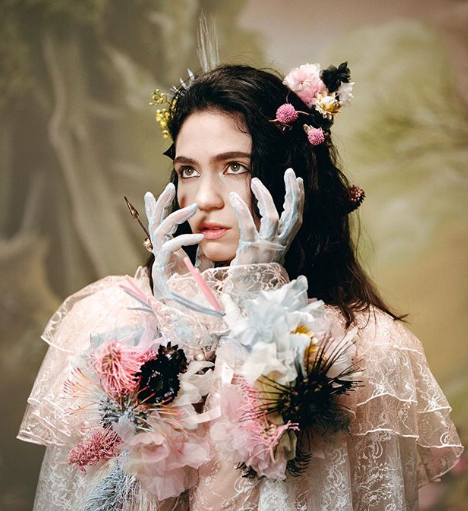 Singer Grimes brings her eclectic style to this layered, pastel piece. 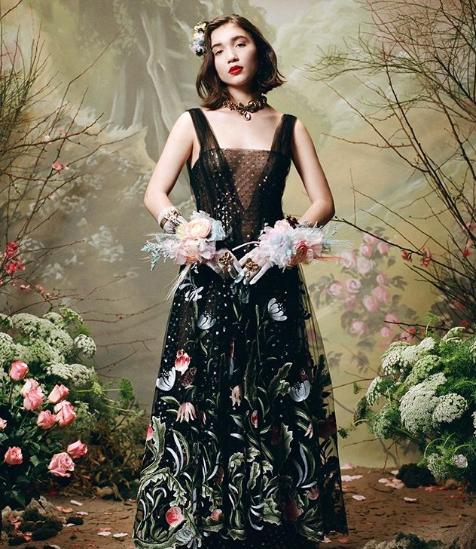 Rowan Blanchard is poised to perfection in this dark and dreamy floor-length dress.